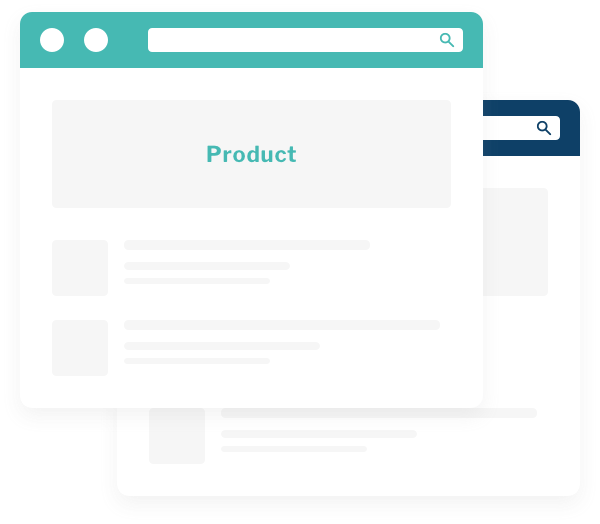 Increase online conversions and customer loyalty with NLP-powered, product-oriented search. Identifies products and attributes to return accurate results. Customizable UI options to suit your brand. We help customers find what they want. Discover how natural language processing drives Inbenta’s technology to understand complex customer queries and deliver the most accurate search results. 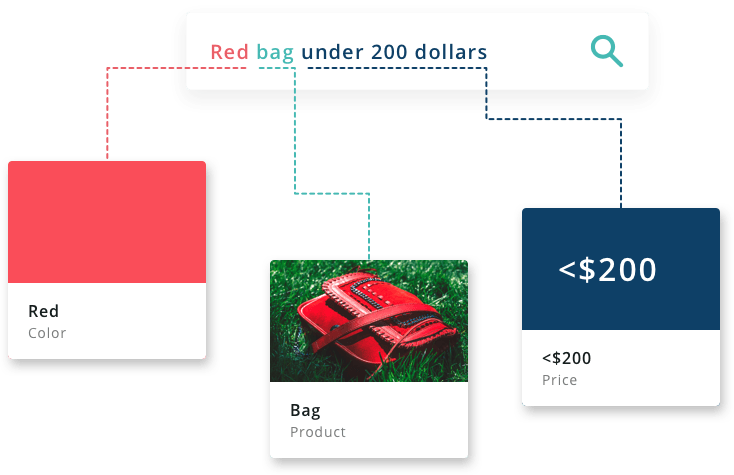 Automatically detect and distinguish products from their attributes, such as size, weight, color, price, and more. 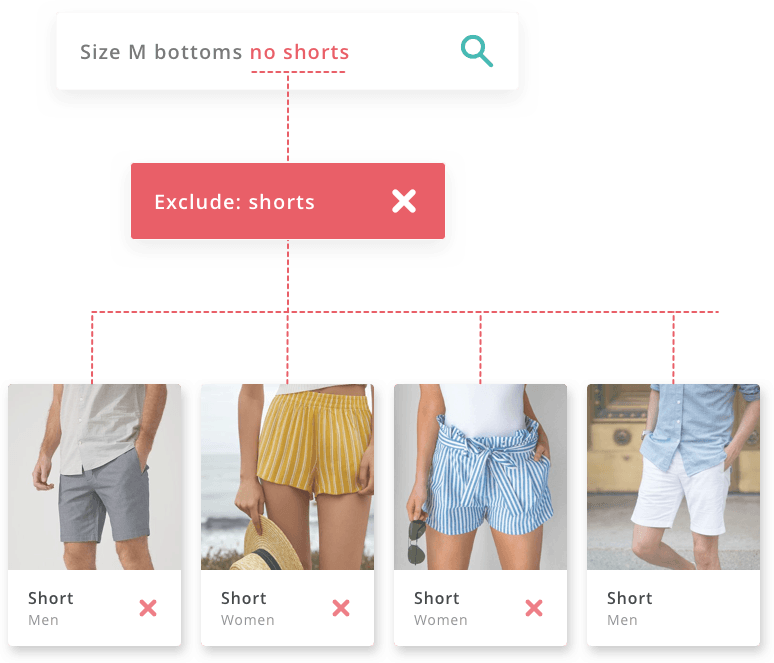 If a user writes a query that excludes product properties, we’ll factor it into our search for the most refined results. 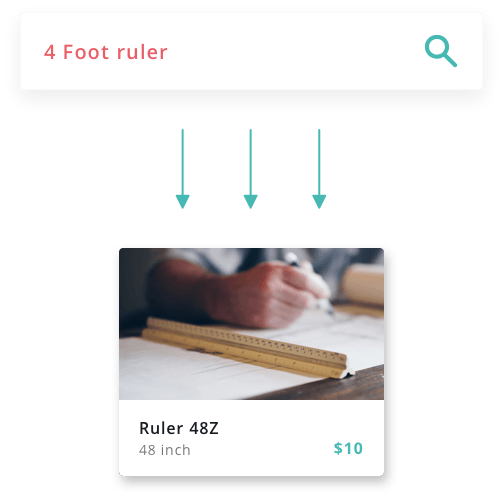 Automatically convert units of measure for accurate search results. For example, a search for “20-quart paint pail” will also return results 5-gallon paint buckets, converting quarts to gallons behind the scenes and identifying the proper match. Run contextual analysis to identify implicit elements not clearly defined by the user. For example, a user who searches for “1 1/2 nut” on a home improvement site will see Wing Nuts filtered by a 1.5-inch span. This allows advanced treatment of qualifiers that may change in meaning depending on context. 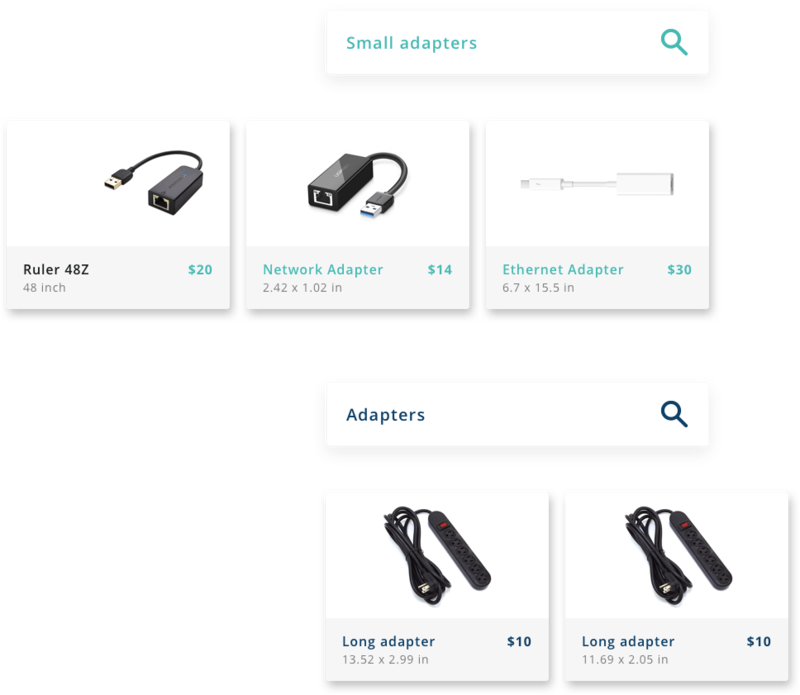 For example, when searching for “small adapters,” the search engine recognizes “small” as an abstract qualifier. It maps “small” to the lower portion of the “cord length” range which was implicitly inferred from the context. The definition of “small” can be defined differently depending on the product type or even the product category. This enables the smart array recognition of product properties. 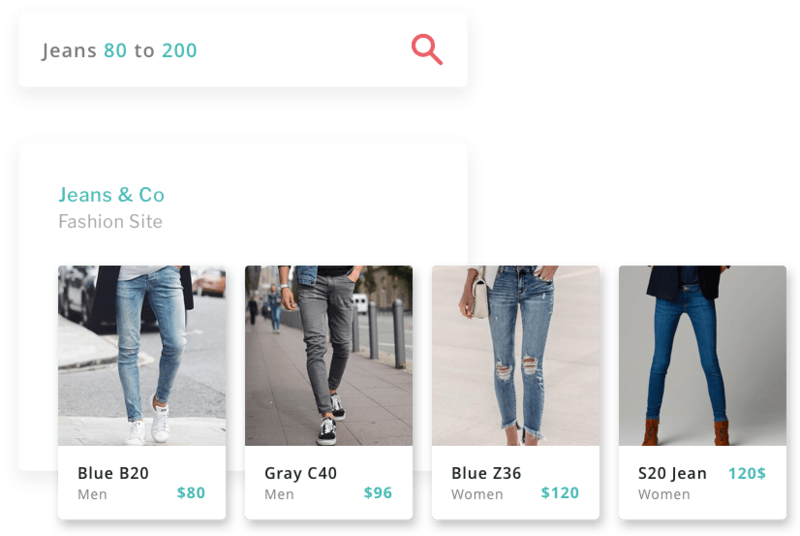 For example, the query “jeans $80 to $200” will return jeans filtered by price between $80-$200 inclusive, and searching for “1/2 to 2.5 film tapes” will return film tapes filtered by width between 1.5-2.5 inches inclusive. We take user input to generate optimized landing pages that are easily crawled. 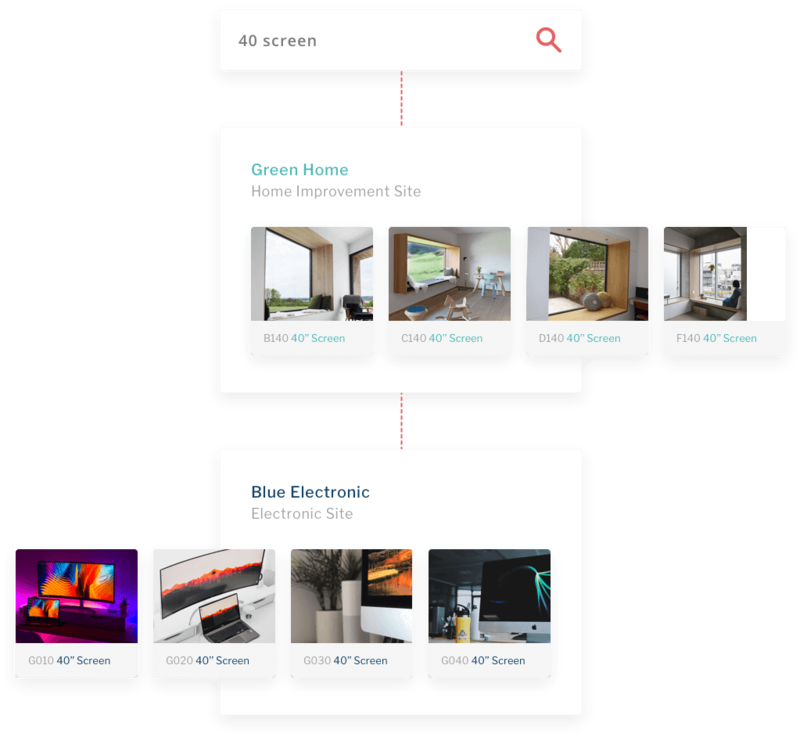 If people change how they search for a product, the page will update accordingly so customers can always find what they want.